Topkapı Palace, the administrative and residential palace of the Ottoman Empire in Istanbul, was completed by AH 882 / AD 1478 after the city had been conquered by Mehmed II. It was used continuously by the Ottoman rulers until they moved to the palaces built along the Bosphorus in the 13th / 19th century. 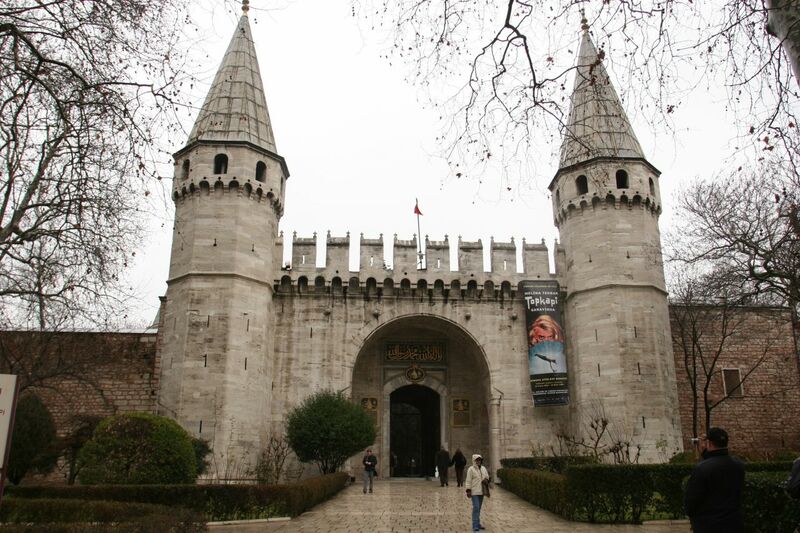 After the declaration of the Republic of Turkey, the palace became a museum on 3 April 1924 by order of Atatürk. The palace became a grandiose, multi-functional structure through continual development and additional construction by different sultans, which also reflects the institutional structure of the Ottoman Empire. The splendour and multi-level structure of Ottoman protocol and hierarchy can clearly be seen in the architecture. Even the rise and the fall of the empire found its artistic expression in the palace. As well as being a stage for the dramatic events of the past, this palace is one of the few examples of its kind that survived along with its historical lifestyle. Among the items exhibited in the museum are portraits and costumes of the sultans, Chinese and Japanese porcelains used in the palace, metal kitchenware, Yıldız porcelain and glassware, European porcelain and silver items, Islamic and Turkish weapons. Holy relics of Prophet Mohammed and the first caliphs that were brought from Medina in the early 10th / 16th century by Selim I are exhibited in the Holy Relics section. Among those relics are the mantle of the Prophet Mohammed, his swords and his foot print. Four thrones, aigrette-holders, the Topkapı dagger and the diamond of Kaşıkçı are the most famous examples of the items from the treasury of the Ottomans. The museum's archive holds important documents of correspondence of the Ottoman Sultans and its library contains famous manuscripts from the Byzantine, Islamic and Ottoman periods.